Gustav Robert Kirchhoff (March 12, 1824 – October 17, 1887) was a German physicist who contributed to the fundamental understanding of electrical circuits, spectroscopy, and the emission and absorption of radiation. His discoveries helped set the stage for the advent of quantum mechanics. Gustav Kirchhoff was born in Königsberg, East Prussia, the son of Friedrich Kirchhoff, a lawyer, and Johanna Henriette Wittke. He attended the Albertus University of Königsberg where he was taught by the physicist Franz Ernst Neumann. Influenced by Neumann's approach to electricity and magnetism, he made his first contribution to physics while still a student. By applying the laws of conservation of charge and conservation of energy to electrical circuits, he established what are now called Kirchoff's laws for circuits. By applying these laws, electrical engineers can determine the current flow and voltage in various branches of complex circuitry. 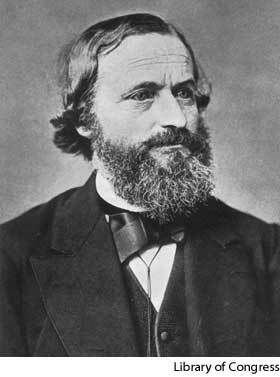 Kirchhoff graduated in 1847, and in the same year married Clara Richelot, the daughter of his mathematics professor, Friedrich Julius Richelot. The couple moved to Berlin, where Kirchhoff was awarded his teaching credentials, and remained there until 1850, when he was given a professorship at Breslau. In 1851, Kirchhoff met Robert Wilhelm Bunsen, who remained only briefly in Breslau before accepting a position at Heidelberg in 1851. Kirchhoff moved to Heidelberg in 1854 and began a fruitful collaboration with Bunsen that resulted in the establishment of the field of spectroscopy, involving analysis of the composition of chemical compounds through the spectra they produce. Intrigued by the different colors produced when various substances were heated in a flame, Bunsen wanted to use the colors the colors to identify chemical elements and compounds. Broadening the concept, Kirchhoff suggested that Bunsen not only pay attention to the immediately visible colors but also that he study the spectra of color components produced by passing the light produced by each substance through a prism. Thus was the field of spectroscopy initiated. In 1859, Kirchhoff noted that dark lines found in the Sun's spectrum were further darkened when the sunlight passes through a sodium compound heated by a bunsen burner. From this, he concluded that the original dark lines, called Fraunhofer lines after the scientist who discovered them, result from sodium in the Sun's atmosphere. This opened up a new technique for analyzing the chemical composition of stars. 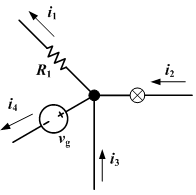 That same year, Kirchhoff researched the manner in which radiation is emitted and absorbed by various substances, and formulated what is now known as Kirchoff's Law of Thermal Radiation: In a state of thermal equilibrium the radiation emitted by a body is equal to the radiation absorbed by the body. By 1860, Bunsen and Kirchhoff were able to assign distinct spectral characteristics to a number of metals. Together they discovered caesium (1860) and rubidium (1861) while studying the chemical composition of the Sun via its spectral signature. In 1862, Kirchoff introduced the concept of a "black body," a body that is both a perfect emitter and absorber of heat radiation. That same year, Kirchhoff was awarded the Mumford Medal for his work on spectral analysis. Later research on black body radiation was pivotal in the the development of quantum theories that emerged at the beginning of the twentieth century. In 1869, Kirchhoff's first wife died, and in 1872 he married Luise Brommel, the superintendant of a medical facility. In 1875, he returned to Berlin to accept a chair in theoretical physics. While there, he came into contact with Max Planck, but disputed Planck's thermodynamic formulations. Planck would later promulgate the energy laws that ushered in the age of quantum mechanics. Kirchhoff continued his research until poor health forced him to retire in 1886. He died in 1887, and was buried at the Saint Matthäus Kirchhof Cemetery in Schöneberg, Berlin. 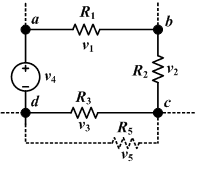 Kirchhoff's circuit laws (or circuit rules) are a pair of laws that deal with the conservation of charge and energy in electrical circuits, and were first described in 1845 by Kirchhoff. Widely used in electrical engineering, they are also called Kirchhoff's rules or simply Kirchhoff's laws. At any point in an electrical circuit where charge density is not changing in time, the sum of currents flowing toward that point is equal to the sum of currents flowing away from that point. The directed sum of the electrical potential differences around a circuit must be zero. Kirchhoff contributed greatly to the field of spectroscopy by formalizing three laws that describe the spectral composition of light emitted by incandescent objects, building substantially on the discoveries of David Alter and Anders Jonas Angstrom. A hot tenuous gas produces light with spectral lines at discrete wavelengths (or specific colors), which depend on the energy levels of the atoms in the gas. A hot solid object surrounded by a cool tenuous gas (that is, cooler than the hot object) produces light that on passing through the surrounding gas yields an almost continuous spectrum which has gaps at discrete wavelengths depending on the energy levels of the atoms in the gas. The existence of these discrete lines was later explained by the Bohr model, which helped lead to the development of quantum mechanics. Abbott, David, ed. The Biographical Dictionary of Scientists. New York: Peter Bedrick Books, 1984. ISBN 0195210832. Kirchhoff, Gustav (1824-1887). Eric Weisstein's World of Biography.